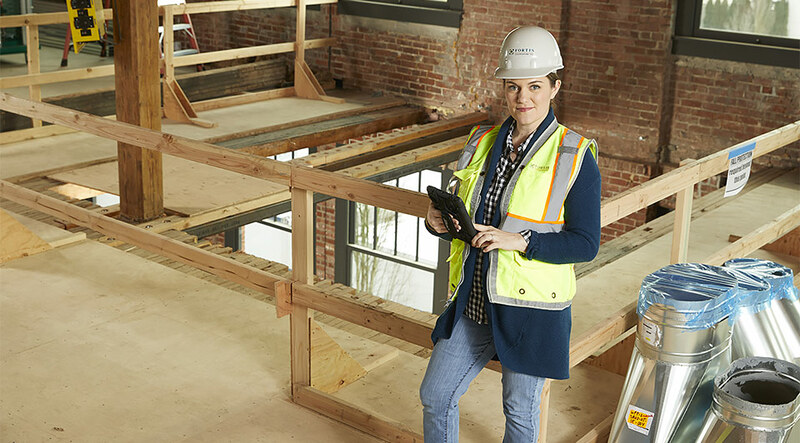 BIM Manager Monica Emmons and the rest of the Fortis Construction team pride themselves on pushing the boundaries of innovation and establishing a deep level of trust with their clients. Fortis specializes in managing construction projects across the globe, with a broad portfolio of work including data centers, education, healthcare and commercial/offices. The integration of BIM into the planning and preconstruction process has enabled its project teams to strategically resolve issues and optimize constructability before breaking ground on the project. Six years ago, Fortis implemented BIM for preconstruction to pioneer new workflows and proactively respond to the needs of its data center customers. Ideal for these complex projects, BIM also enables a smoother handover process with owners, who can continue to use this design and construction data long after the completion of the project. At the time, Fortis saw the potential of enabling a model-based workflow, but as a smaller company of 75 employees, it took time to hone in on how best to fit BIM workflows to the right construction challenges. Gradually, both Fortis and its customers began to uncover the true value of BIM for construction projects. Over time, it was Fortis’ established relationships with owners that provided the right opportunities to influence the processes that were used—which ultimately laid the foundation for the Fortis BIM program today. As the company has quadrupled in size, Fortis now implements BIM-based workflows for nearly 100 percent of projects that are of an economically feasible scale. Monica and team automate their BIM coordination processes, making it quicker to identify and resolve problems between disciplines. "On a recent project, a design element posing a significant conflict got all the way to the clash detection phase before it was discovered. Identifying the error before construction ultimately saved more than $200,000 in potential rework." Fortis manages the entire project lifecycle with Autodesk tools— such as Revit, Navisworks, and the BIM 360 construction management platform. Fortis Construction is always looking to expand the technology it uses to build more streamlined construction processes that improve the quality of its projects and benefit the bottom line for owners. During preconstruction, the company currently uses Revit for compiling design models and mining those files for critical construction data. To complete its end-to-end workflow, Fortis combines authoring and cloud platform tools with Autodesk BIM 360 construction management software that provide multi-discipline coordination, field layout and quality and issue tracking. 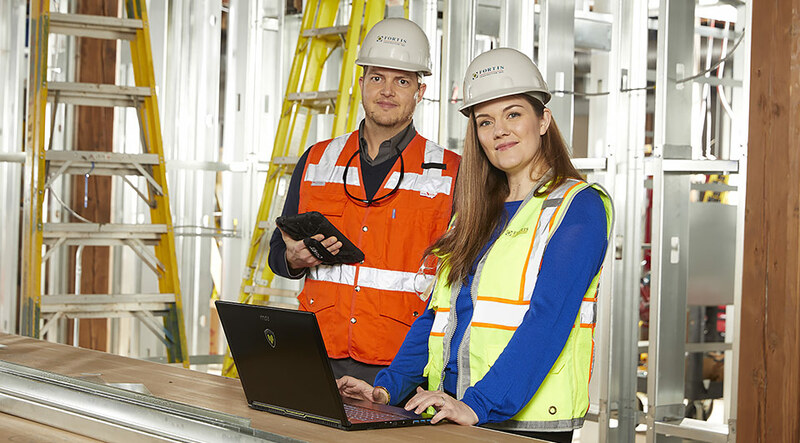 Working with Revit models combined with Navisworks and BIM 360 allows Fortis to collaborate with multiple teams and identify potential risk and safety issues before construction begins. Additionally, the company can create and deliver up-to-date information to the field teams, helping to reduce RFIs and costly rework. Using a BIM-based process has helped Fortis to expand its services while offering owners a level of detail, collaboration and quality that goes beyond paper drawings. Fortis has been able to deliver better projects to its customers while recognizing increased efficiencies. To proactively address spatial coordination issues (or “clashes”) and potential constructability hurdles during the preconstruction phase of the project, Fortis runs model-based simulations to optimize the fit of building components and resolve any routing issues or spatial conflicts before breaking ground. This information is fed back to clients and design teams to help them improve quality and safety for future projects. Monica’s team finds Navisworks invaluable for picking up the human errors that can creep into designs, especially when teams are working to tight deadlines. Walking through the model with the client and the design team before construction gives the team a chance to make any changes before construction and avoid costly rebuilds. On a recent project, a design element posing a significant conflict got all the way to the clash detection phase before it was discovered. Identifying the error before construction ultimately saved more than $200,000 in potential rework. From office to field, ensuring that all members of the project have the right information at the right time is critical to the success of any project. As a known innovator, Fortis is working to expand and improve the BIM-based workflows it currently uses. The company is looking to increase their use of live field-data collection including reality capture technologies such as laser scanning, augmented reality and drone-based photogrammetry to enhance construction documentation, streamline quality control and collect real-time construction metrics.